The start of sweater weather means one thing for retailers, Q4 is looming. The holiday season is busy enough for merchants, but following these proper steps and planning your marketing strategy in advance positions your brand for success and optimal sales growth. Ensure your current email address and other contact info is up to date and accurate. As affiliates apply to join your program, be sure to provide a detailed description of your program and products so affiliates can know if the partnership is a good fit. Ensure affiliate links will work throughout Q4 by updating your payment setting to auto-deposit. When an affiliate program goes offline, all links become inactive – yikes! Review your website to ensure that every page is working and products are listed accurately. In order to minimize the risk of broken tracking, avoid making any major website changes during Q4. We recommend a code freeze for November and December. Organize your promotions in a calendar as well as important shopping days and critical shipping deadlines. By taking the time to create a marketing calendar and sharing it with affiliates will allow affiliates to plan their content including your brand, ultimately optimizing your exposure. Identify who your top performing affiliates are and directly communicate with them about upcoming promotions. Check to ensure they have the correct offer details, links and creatives. Consider creating incentives based on performance for reaching certain sale goals. Providing incentives demonstrate that you value the effort the affiliate is making to promote your products. Communication is key when it comes to motivating your affiliate partners. Keep your affiliates in the loop by scheduling newsletters with information about your products and upcoming deals/promotions. Set up a series of emails to send automatically to new or existing affiliates. For example, edit your sign up email that is sent to affiliates at time of approval to be informative and provide everything needed for affiliates to promote right away. Your creatives should be branded, relevant and include a call to action. Get creative with your copy and add in seasonal words to create a sense of urgency. Consider creating many banner sizes to help drive more conversions or hop over to the Banner Performance Report to find out past top performing banner sizes. If you have products targeted to any Q4 holiday, consider taking out a listing in our Holiday Center. By signing up to be featured in or more categories within the Holiday Center, you increase your exposure in front of potential affiliates. Review your datafeed and make sure it’s up to date. Merchants with an updated datafeed can significantly increase a Merchant’s exposure on our affiliate interface. With more exposure, a detailed datafeed can lead to more affiliate partnerships and increased conversions. 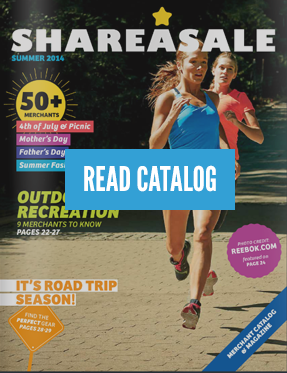 Be sure to use ShareASale’s reporting tools to identify areas of growth and improvements. Take the time to review your own inventory to avoid promoting sold out products. 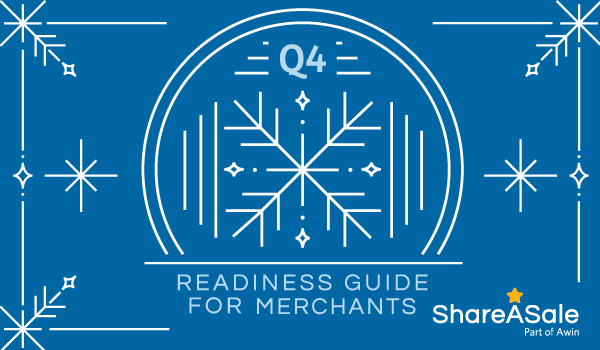 We hope this Merchant Q4 Checklist helps you position your brand for a successful holiday shopping season.